Born in Ashford, Andrew Glasby was educated at the Duke of York’s Royal Military Boarding School. Andrew has always been very enthusiastic about his father’s work and fascinated by Alan’s patination techniques. At the beginning of 2007 Alan started teaching Andrew how this was done and his love for the art began to grow. When his father, Alan, died from cancer in early 2008 Andrew made the decision to relinquish his own business and continue to produce and patinate Alan’s work. 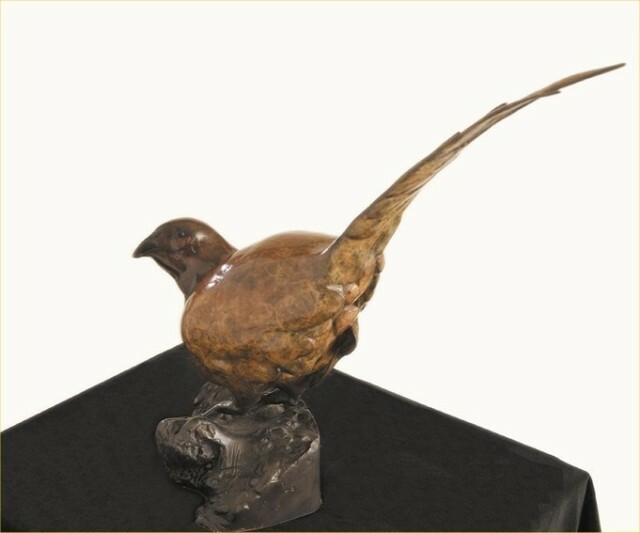 Andrew has a great passion for sculpture and like his father wants to develop new and unusual patination, an art form in itself. As a sculptor, he is completely self-taught and highly motivated. When he sees something of natural beauty and grace it provokes a strong emotion and this is what he endeavours to portray to the viewer. Whilst continuing to exhibit his father’s work, we are now also delighted to welcome Andrew to The Wykeham Gallery.